Backed by a team of talented workforce, we are involved in offering our clients a wide array of EN 8 steels. These are sourced from reputed vendors of the industry, who use best quality factor inputs for fabrication purpose of these steels. Moreover, our clients can avail these in market leading prices from us. Clients can avail premium quality EN8 Steel Bar from us at the market leading prices. EN8 Steel Bar is a medium strength steel bar. Our offered EN8 Steel Bar is suitable for manufacturing stressed pins, shafts studs, keys, etc. The EN8 Steel Bar is available in rolled or normalized form. 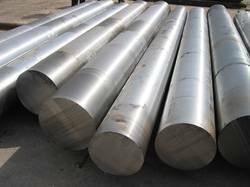 We supply EN8 Steel Bar in square, round or flat shapes. We provide a high quality of EN8 Round Carbon Steel.